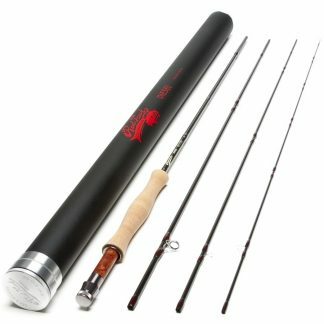 Red Truck Diesel 4 wt 7ft 9in Fly Rod, 4 Piece, 479-4 - Red Truck Fly Fishing Co.
Backpackers and backcountry anglers will feel at home with this rod designed for your next adventure. In the California backcountry, small streams, creeks, and lakes can be found around every corner. What better way to spend the day after hiking than to pull out your fly rod and have some fun or maybe even catch dinner? As the smell of trout cooking wafts up from the camp fire your friends will understand why you saved a few pounds for your fly fishing gear. The 7ft 9in 4 weight is your backcountry fishing solution, the one best answer for fishing the backcountry anywhere. From the Golden Trout Wilderness to Emigrant Wilderness the Red Truck Backcountry Fly Rod will stand up to the rigors of backcountry fly fishing. The backcountry is diverse and you need a rod that will pack down small and fish everything from lakes to tiny creeks. The Red Truck Diesel “Backcountry” Fly Rod:Designed and balanced to fish the backcountry. 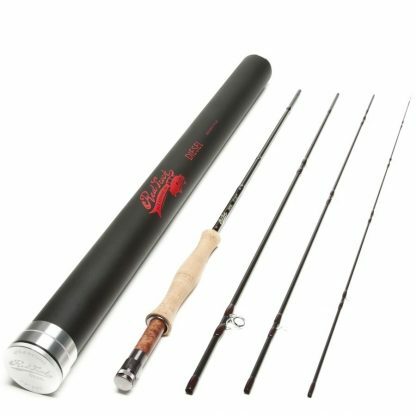 The Red Truck Backcountry Fly Rod has the perfect action to cast variety of different rigs necessary to be successful in lakes, creeks and small rivers. 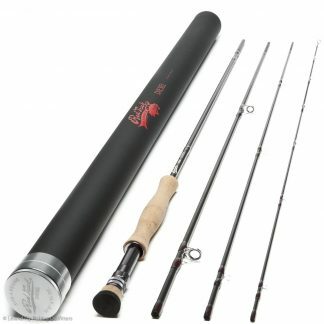 Versatile, accurate, and packable this rod is a joy to fish when in the backcountry. ·Matte finished reducing rod glare, reflection on the water caused from shiny rods, which can spook fish in clear water. ·Powerful mid section for when the wind picks up or casting streamers in lakes. ·Packs down to 26 inches. The Recommended Reel: A perfect match for the Red Truck Backcountry Fly Rod is our Red Truck Diesel 3/4 Fly Reel. Taking notes from the reels our grandfathers used this reel is durable, simple, and elegant.